Shiona Morton’s play Hansel, which won last year’s Theatre Fest West, is a multi-faceted little gem, thoughtfully crafted, deeply absorbing, poignant and hard-edged by turns. Sensitively directed by Wiltshire Creative associate director Jo Newman, it’s beautifully acted by its cast of three and brilliantly served by its creative team. This Hansel has no Gretel, but like the lost boy of the Grimm brothers’ tale, he follows a trail of seaside pebbles like crumbs through the woods and longs for the comforts of hot food and drink in the inviting cottage where elderly Edith (Elizabeth Counsell) lives. She’s no witch, just a hoarder who haunts boot sales, filling her house with the unwanted detritus of other people’s lives. Every three months, her managing daughter Viv (Zara Ramm) heads down the A30 from London to Cornwall to clear it all away. Counsell and Ramm make clear the resentment and friction this causes on both sides, but it takes the burgeoning friendship between Edith and a teenage rough sleeper (Lee Rufford) to reveal there’s more to their tense mother and daughter relationship. 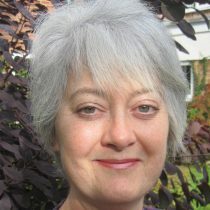 Counsell’s Edith is very moving as she grapples with reality and the elusive memories she calls “chopped up liver bits”. Ramm offers a clear contrast, businesslike and practical, until the catalyst of an outsider forces her to reveal deeper feelings. Rufford makes the un-named teenager escaping his own demons a complex mix of streetwise loner and lonely lad. 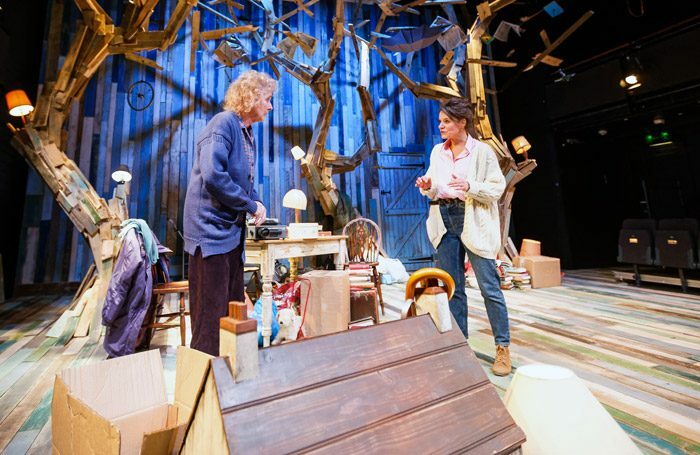 The fairy tale allusions in the script and Edith’s magpie ways are echoed in Frankie Bradshaw’s stunning set design, where a doll’s house sits amid towering trees of reclaimed timber and bundles of newspapers flutter like forlorn birds from the branches.